GlyMed Plus Skin Essentials Kits make taking care of your skin so easy! Alana knows how important to have all your skin products in one package. These kits make it very easy to keep up with your routine. Alana is very pleased to have 10 kits for you to choose from. Below are a few of the best sellers! Glymed Plus Inflammatory Acne Skin Essentials Kit: Get all you need to keep your skin free from acne! Kit contains: GlyMed Plus Serious Action Skin Wash, GlyMed Plus Serious Action Skin Gel, GlyMed Plus Serious Action Skin Medication No. 5, GlyMed Plus Serious Action Skin Astringent No. 5, GlyMed Plus Cell Science Clarifying Masque, GlyMed Plus Age Management Skin Care System Photo-Age Environmental Protection Gel, GlyMed Plus Cell Science Repair Cream, GlyMed Plus Age Management Skin Care System Arnica + Healing Cream and GlyMed Plus Serious Action Acne Formula Supplements, 10 tablets. GlyMed Menopause Skin Essential Kit: Biological changes in a woman’s body often means making amendments in skin care. The Menopause Skin Essential Kit is very important to keep skin looking healthy so you look and feel your best! This kit includes: Gentle Facial Wash, AHA Accelerator, Living Cell Clarifier, Vital A Cream, Menopause Corrective Skin Serum+, Ultra-Hydrating Enzyme Masque and Photo-Age Protection Cream 30+. 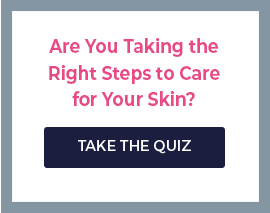 Where Can I Buy My GlyMed Plus Skin Essentials Kits ? Health skin helps people become more confident. It is important to have all your products in one kit in order to take care of your skin efficiently . Skincare by Alana is the best place to buy your Skin Essentials kit. We offer free shipping and either a discount or free gift, depending on the order. We are open seven days a week and want to answer your questions! Chat with us online or call us at (888) 222-0637. 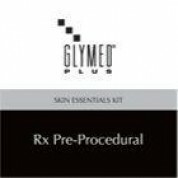 Our trained estheticians will be happy to help you in choosing the GlyMed Plus Skin Essential Kit that will be best suited to your needs. Happy ordering!